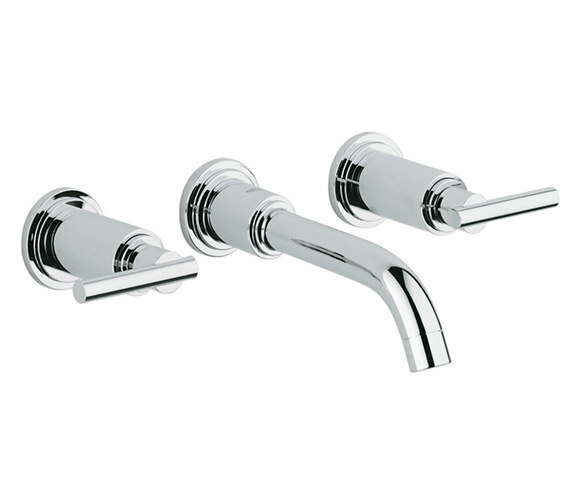 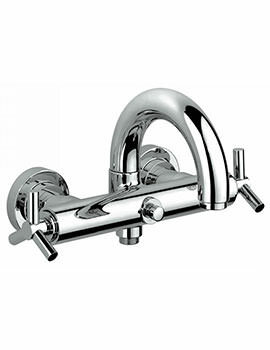 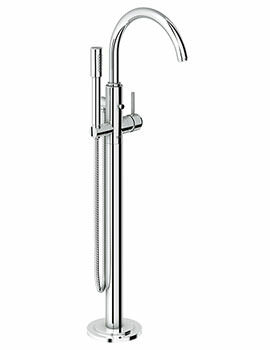 Wall mounted Spa Atrio Jota Three-Hole Basin Mixer-Tap saves valuable space when seen from a small bathroom perspective. 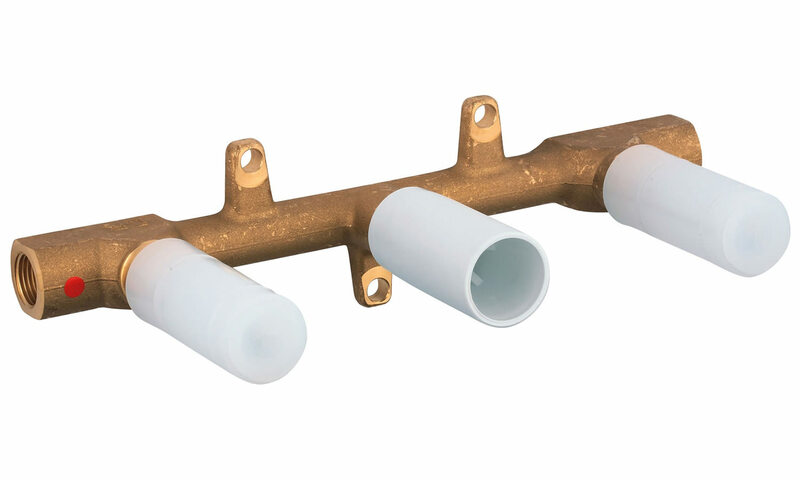 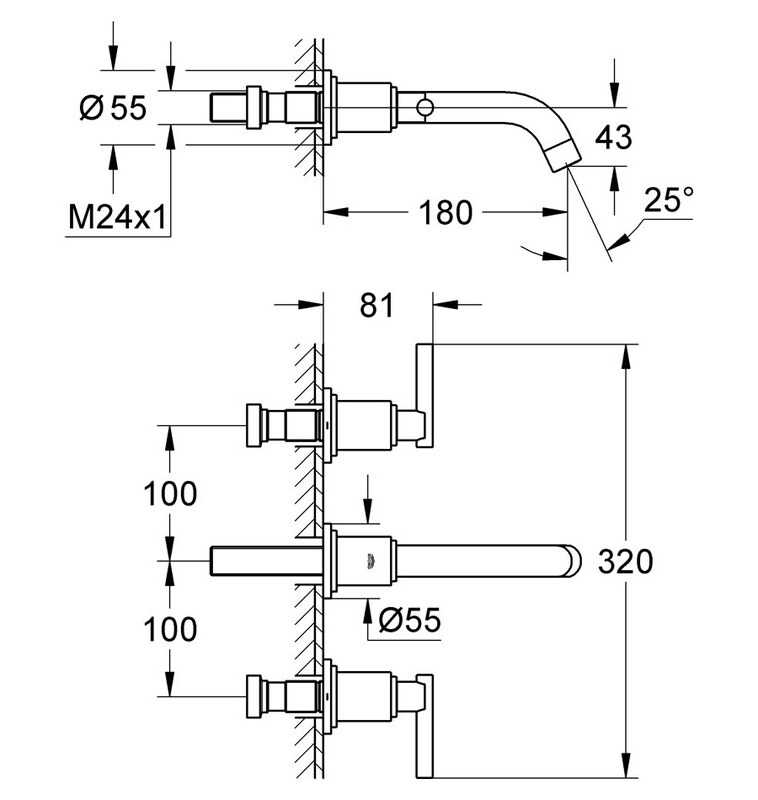 Its two valves give individual control over hot and cold water flow. 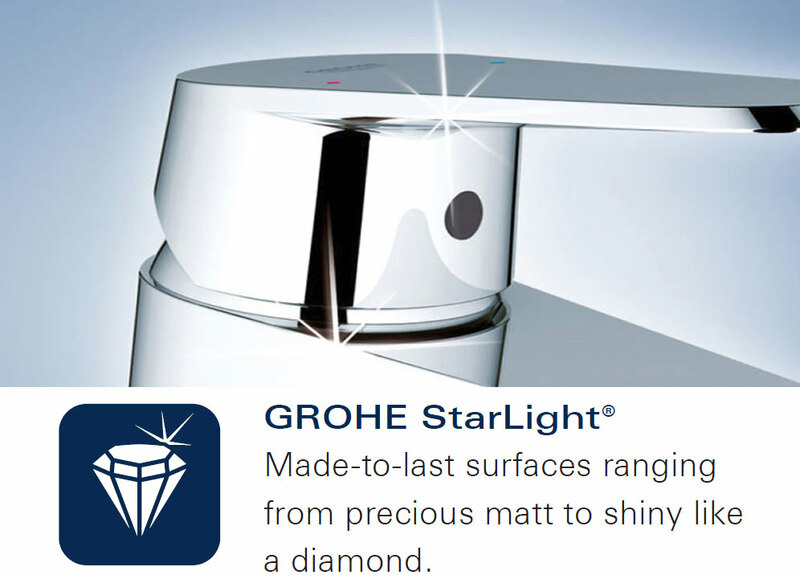 Although it can be installed in a concealed fashion, its concealed body set is not included in this purchase and must be bought separately which is available as an optional purchase. 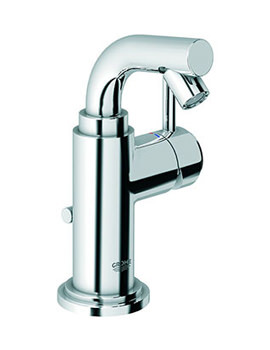 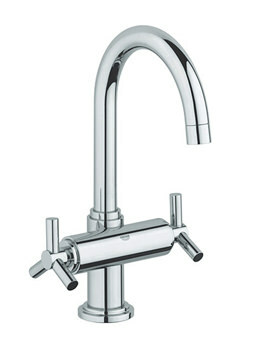 Ideal for high water pressure systems this product is sold with a 5 -year guarantee from Grohe.